Before visiting Venice I heard a lot of people say that the top thing to do in the city is simply get lost in its maze of streets. This may sound silly, but after experiencing Venice for myself I have to agree! There’s something magical about exploring its backstreets. I think it has something to do with the beauty lurking around every corner. You never know if you’re going to stumble upon a romantic bridge, hidden cafe or a particularly pretty Venetian home. 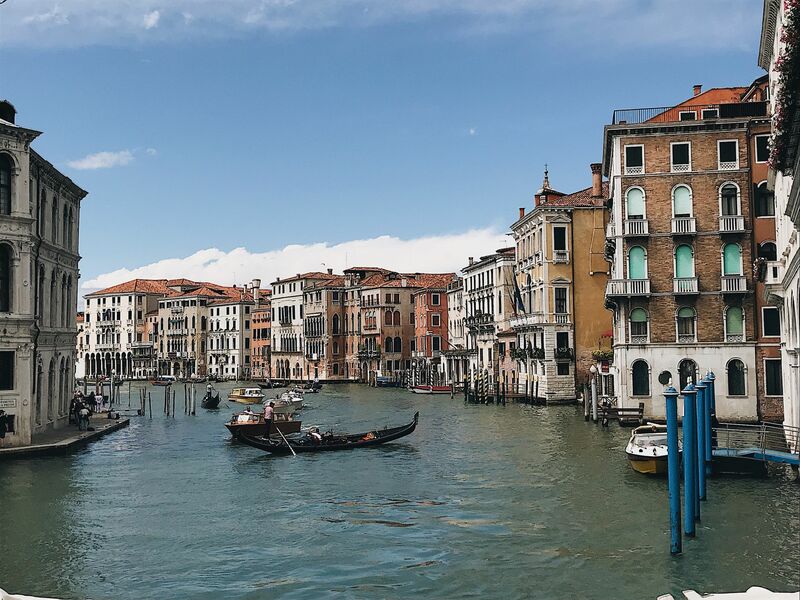 Venice’s Grand Canal is a very well known site, and it is very much the heart of the city! I found the best way to appreciate the Grand Canal was to take a break in one of the restaurants along its ‘shore’. 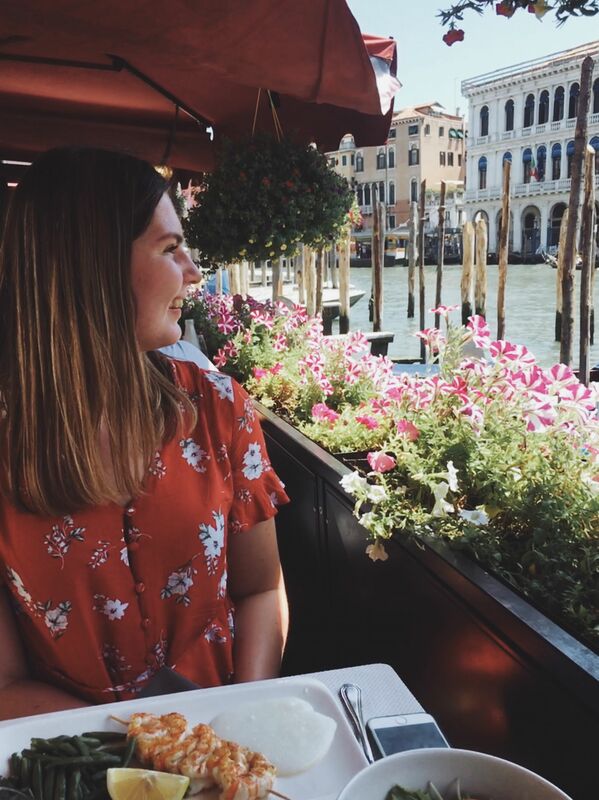 From a waterside location, I was able to fill my stomach with delicious Italian food, whilst watching boats cruise along the busy waterway. The rest of my 2 days in Venice were very busy so I thoroughly enjoyed spending time sitting back and taking in the atmosphere of the city! As the oldest bridge across the Grand Canal, Rialto Bridge is certainly one of the top things to see in Venice. I found the bridge to be one of the busiest points in the city. For example, to get to the edge of the bridge, I had to battle crowds several people deep. However, I was still able to appreciate the bridge’s significance and beauty – the fact that there are shops on the bridge is also pretty cool! Moving from a famous attraction in Venice to a somewhat ‘hidden gem’: Fondaco dei Tedeschi. 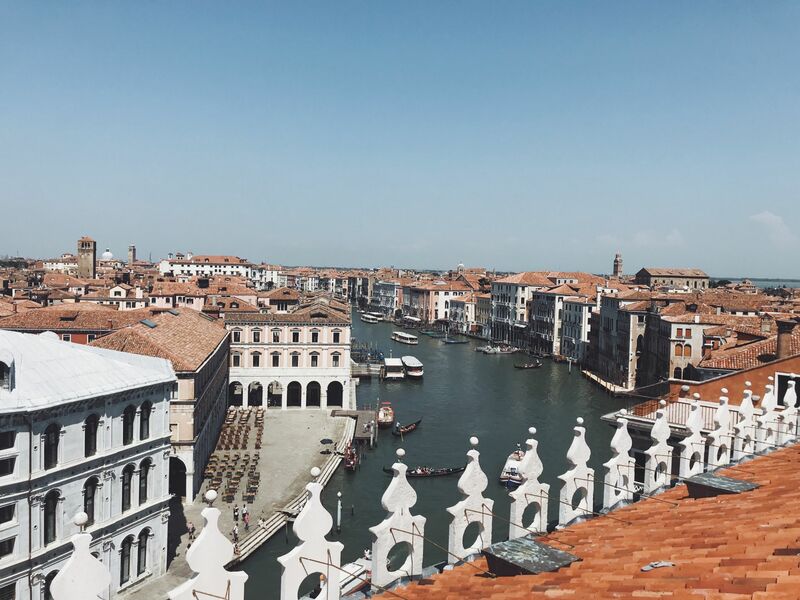 This luxury shopping centre has a rooftop terrace which provides breath-taking 360° views over Venice. Whatsmore, its free! 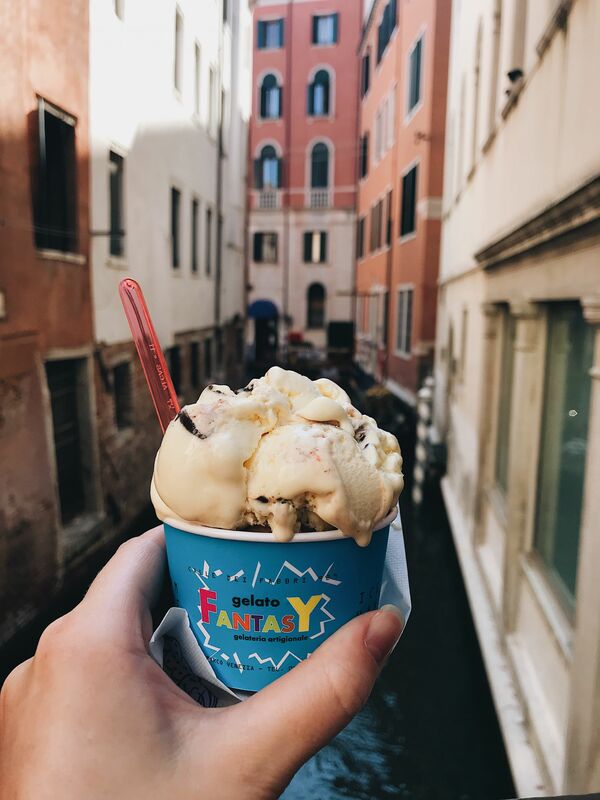 Getting a different perspective over Venice is a must, and although this attraction is unlikely to be top of your list of what to do in Venice (as the city has so many fascinating places to visit) I’d certainly rate it as one of the top things to do in Venice in 2 days. 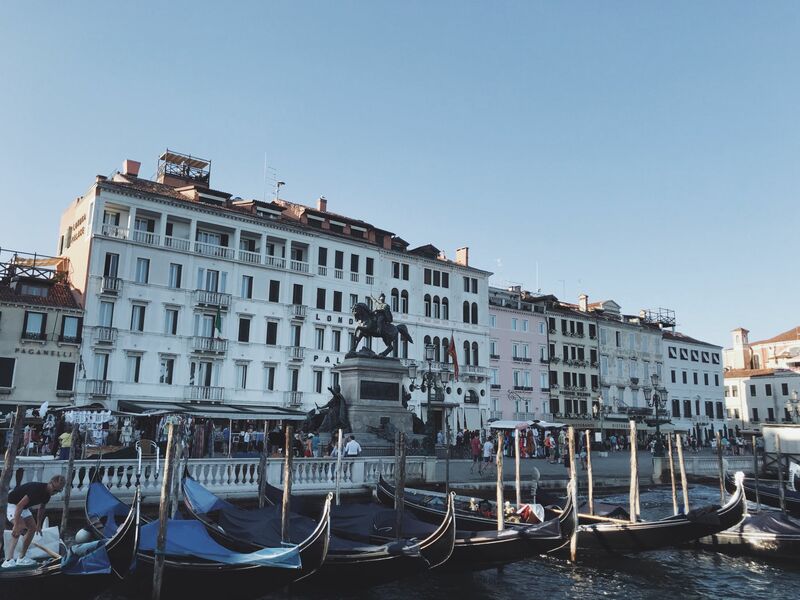 No doubt you’ve heard of St Marks square or Piazza San Marco as its known in Italian. As the largest open space in Vencie, the sqaure is home to must see sites such as St. Mark’s Basilica, the Doge’s Palace (Palazzo Ducale) and San Marco Campanile. All of these unique buildings make St Mark’s a very beautiful place. However, the infamous Venice Crowds reach their highest number here… I visited the square several times during my trip: I firstly went at mid-day and to be honest found the crowds to be too intense. I simply couldn’t enjoy the stunning surroundings due to the sheer amount of people. I then returned to St Marks early in the morning (8am) on the second of my 2 days in Venice to find the square practically deserted. This meant I could admire the buildings in peace. Therefore I’d highly suggest on your own visit to Venice that you get to St Marks square early in the morning! 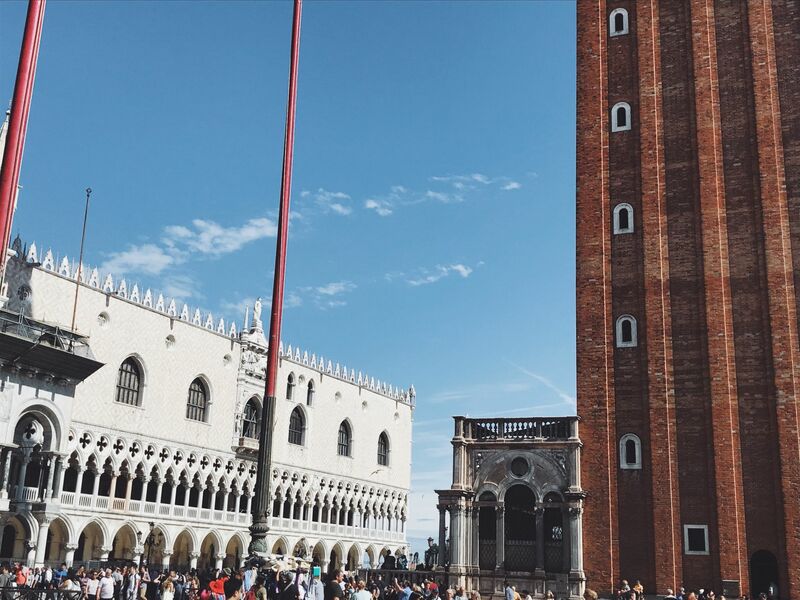 As briefly mentioned above, there are several Venice attractions worth visiting within St Marks Square. The first of which is St Marks Basilica. Built in 1071, the cathedral’s exterior is decorated in many detailed statues and mosaics that give it a unique fairy-tale appearance. 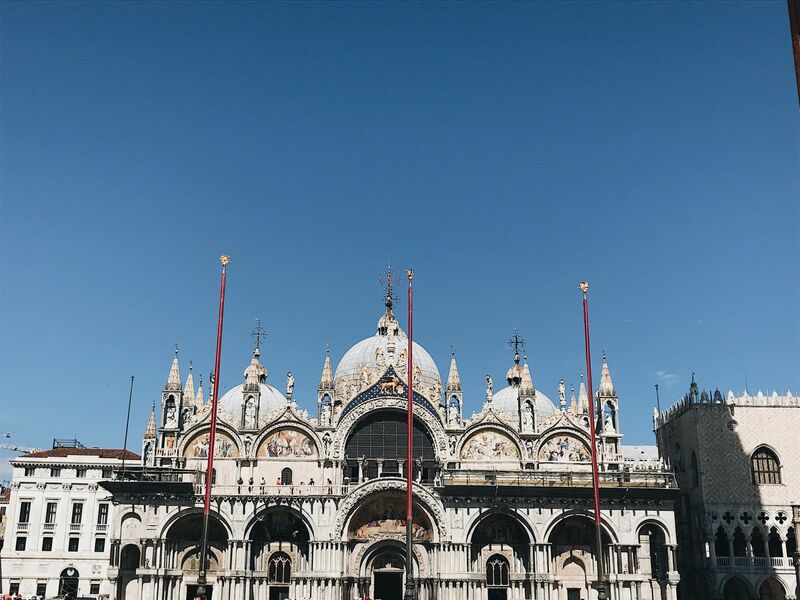 Although stunning from the outside, to fully appreciate St Marks Basilica you should go inside. 8,000 square meters of the ceiling and walls are decorated with golden mosaics that show the message of Christain Salvation. All that gold is definitely a sight to behold. But, as one of the top places to visit in Venice the queue to enter the Basilica can be hours long. I avoided the queue on my own visit by buying a skip the line ticket from the Basilica’s official website. These are only €3 per person!! I’d recommend doing the same as there was absolutely no queue for this priority entrance, I was, therefore, able to do more Venice sightseeing as opposed to standing in a queue all afternoon. And for only €3 I’m at a loss as to why more people don’t do the same! For me, the Doge Palace was even more impressive than St Marks Basilica. Its grandeur is simply unrivalled, it houses a seemingly endless amount of rooms each more impressive than the last. In this way taking a tour of the palace is a must. As with the Basilica, I think the skip the line tickets are very affordable for the Doge palace: €20 or €13 for a reduced ticket (which was great for me as a student). 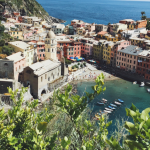 You can also book the ‘Secret Itineraries’ tour for just one euro more, however, it was sadly sold out the day I brought tickets so make sure you book at least a week in advance for it. 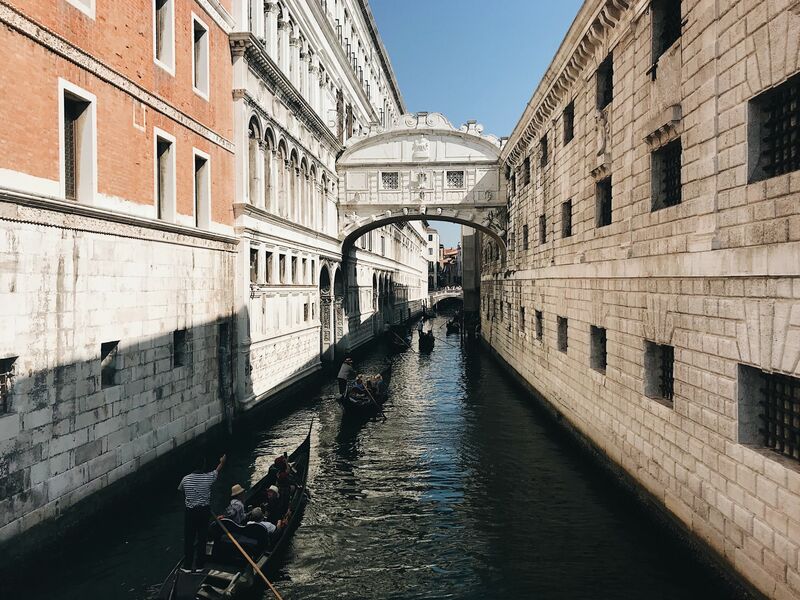 Another reason to visit the Doge Palace is the fact that by doing so you’ll also get to cross the famous Bridge of Sighs, so named as Prisoners would allegedly let out a sigh as they caught their last glimpse of Venice from the bridge on their way to be executed. I have to admit to being a little underwhelmed by the Bridge of Sighs from the outside (it can be viewed by walking right from St Marks Square). However actually crossing the bridge is a different story. Looking out onto Venice through its tiny windows, before proceeding into dark and dingy rooms, you can really get a sense for the desperation of the prisoners. I found that 2 days in Venice was enough time to make a trip out of the main city. Therefore I opted to head to the colourful island of Burano in the evening of my first day in Venice. Here, while the canals that cut through Burano’s streets remind you that you’re still in the Venetian Lagoon, the lack of crowds and the brightly coloured houses make it feel a world away… I really loved this little island and would suggest it as one of the best day trips from Venice that you could take. 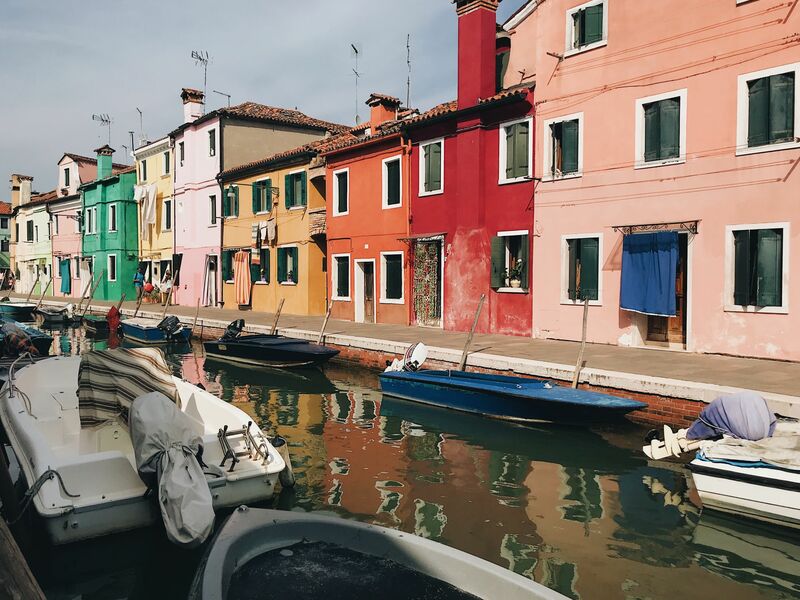 TOP TIP: on the way back from Burano, you should also visit the island of Murano, the home to Venice’s famous glass making. Although a little less characteristic than Burano, it’s still worth a visit if you have more time than I did. Isn’t Venice just magical? I fell in love with it the minute I stepped off of the train. You have created a great 2-day itinerary. Thanks for sharing, it looks like you had a fabulous time! I spent just one day in Venice in March and absolutely fell in love with it!! I wouldn’t want to visit during the high tourist season, but March was great. Good overview of things to do! I really enjoyed this post! I hope to visit Venice someday soon. Thanks for all the great advice.